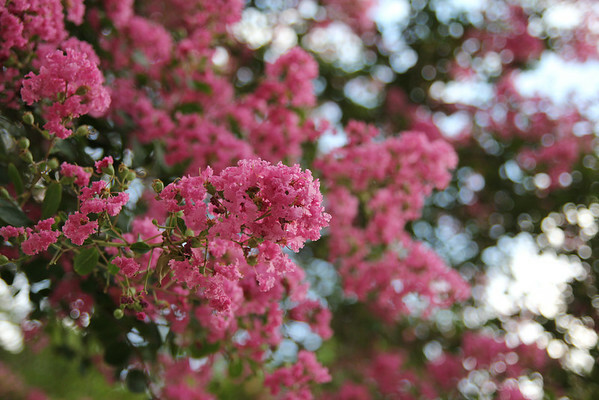 Crepe myrtles bursting with hot pink blooms = instant happy. That's a gorgeous photo! I don't think I've ever seen a Crepe Myrtle before. That makes me happy too! Nice picture! Well, maybe this will get me sort of in the mood to go home, cause I have to confess: high 70's here versus 110 at home has me DREADING reality. Maybe my crepe myrtles will be worth it?